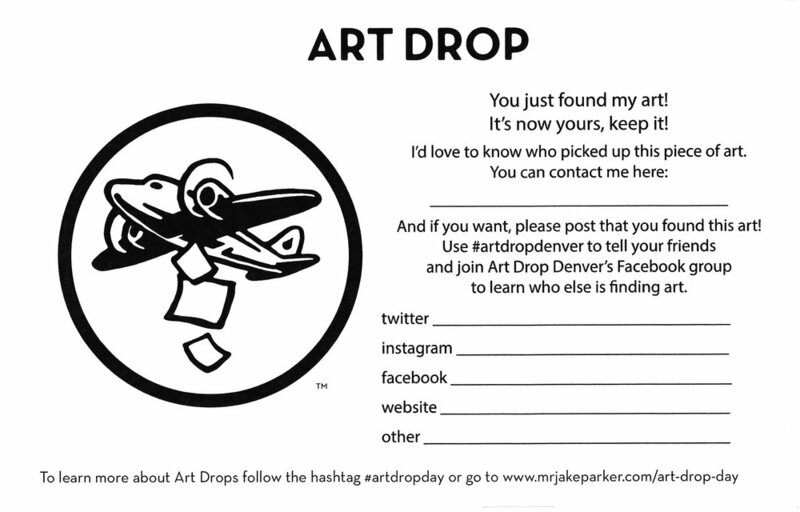 Here's what it's about... artists of all levels ALL AROUND THE WORLD drop off pieces of their own art in public places, post a photo or clue on social media, hashtag it with #artdropday and leave it for anybody to find. You find it, it's yours to take home. 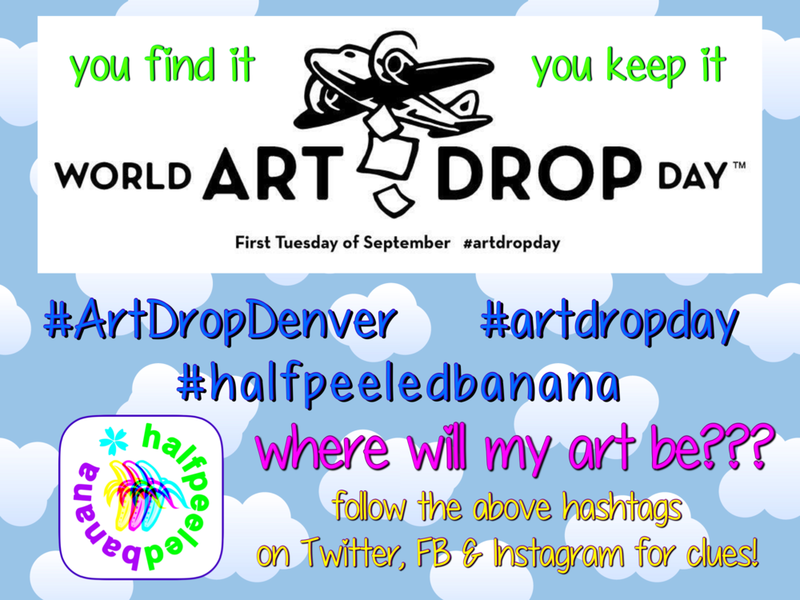 When you do, take a pic of what you found & share it on social media using the hashtags #artdropday #ArtDropDenver and if you find my art... #halfpeeledbanana. It's a really cool way to bring our community together one drop at a time!! DROP ART, not BOMBS. GREAT DAY TO STROLL THE LOCAL PARKS!! (My clue). I'll be hiding numerous prints and maybe a few flowers!! I'm excited to hear from who finds our hidden treasures!! have fun searching... and GOOD LUCK! !